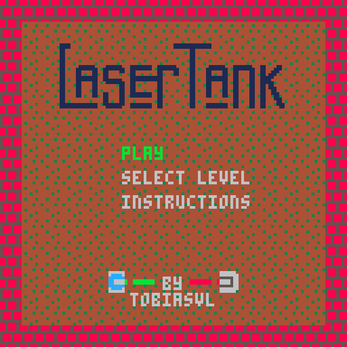 A remake of the classic computer puzzle game LaserTank for PICO-8. I plan to do some further development on this game. The original LaserTank has several behavioral quirks (ie. bugs that level makers have taken advantage of). For example, the order things are executed in the game loop makes it possible for a tank on a conveyor belt ("tank mover") to pass through a laser beam. For more examples, see the "Tutor" level pack. This version is not 100% compatible with these quirks yet. I plan to implement all of the bugs in the original game in order to make it compatible. This game comes with a hand-picked selection of 50 levels for the original game, with few easy levels. I'm considering making a multicart version that includes more levels, but I didn't have room here. 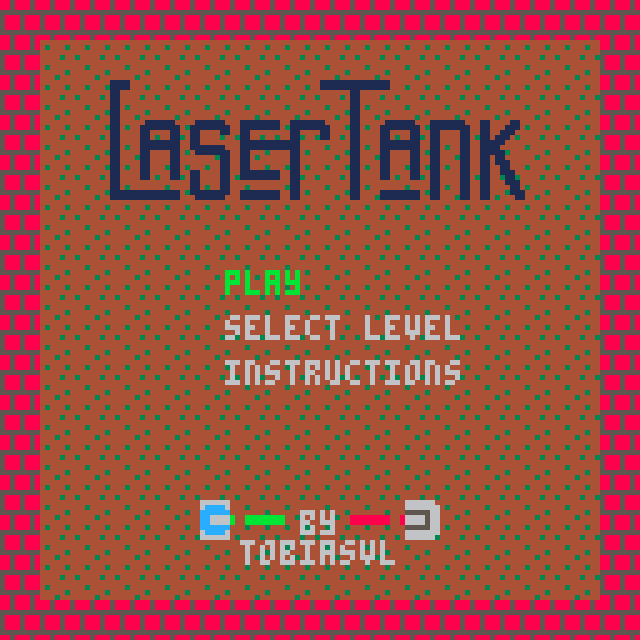 The game does not contain a level editor, like the PC version of LaserTank does. However, if you're familiar with PICO-8 and can run Python programs on the command line, it's easy to replace the stock levels, either with levels you've created yourself in the original version, or additional level packs from the LaserTank website. 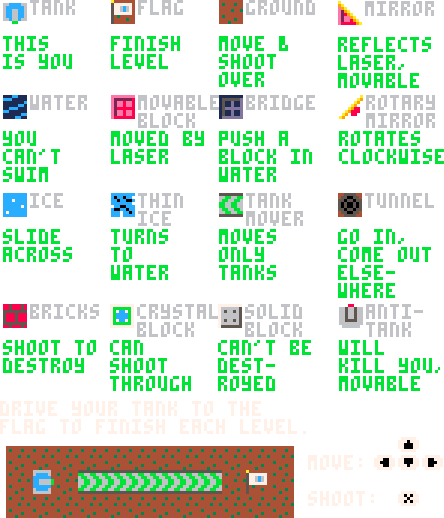 Use the included Python tool to read LaserTank .LVL files, replace the contents of the levels table in the PICO-8 source code with the output, and you're good to go! The original computer game LaserTank was made by Jim Kindley, who has released the game and source code into the public domain and encouraged ports to other platforms. My mirror of the original source code can be found here (it helped a lot when trying to recreate the janky physics). Please also visit the LaserTank website. In the early 2000s, I created some levels that can now be found in the original level pack, under the author name "Spug".